I think this is a new company and these are there newest subs. 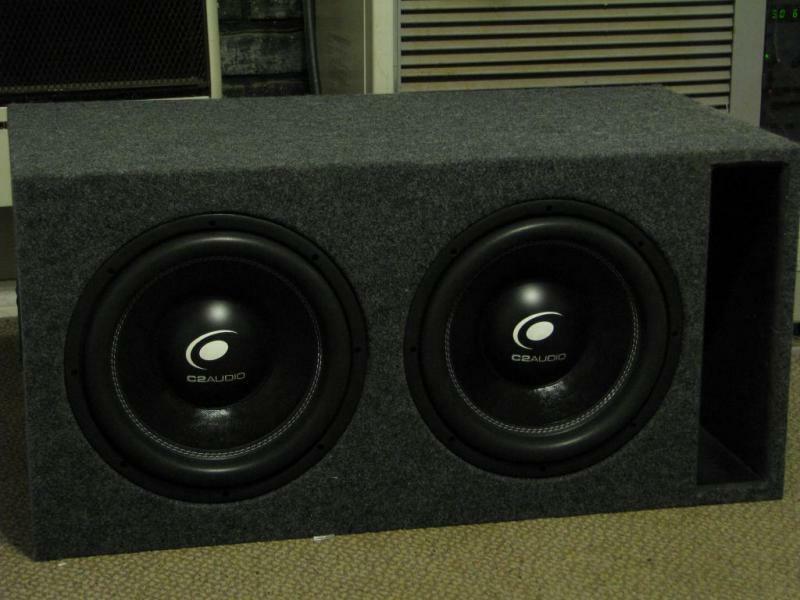 I just ordered a set of these, looks like some good subs at a great price. They are on a pre-sale at $99 for the first 100, I ordered two. Has anyone on here heard of them? I was interested in them as well but after modeling the subs in winisd it looks like its going to sound like chit. I dont care what that program says, I got two the other day. All I can say is wow!!! These things are simply awesome, they get REAL loud and sound really good! I would put them up against the Sundown SA's anyday. Matter of fact alot of people are saying the same, one guy that is on facebook on the C2 page replaced 5 12 SA12's with of these in a 11 cubes box, tuned to 34 hz with 15 port area per foot on a sundown 4500., he said they these are by far tighter and more musical than the SA..
Last edited by fritz1; 05-28-2013 at 06:51 PM. I am glad you are happy, what are you powering them with? I have them wired to 1 ohm, running a Nakamichi PA-1500 at 1200 watts RMS, 600 to each sub. Last edited by fritz1; 05-29-2013 at 07:51 AM.